The Silver Case returns to PlayStation. The recently launched PC remaster of The Silver Case is coming to PlayStation 4. NIS America will publish the PlayStation 4 version in North America and Europe as both a physical and digital release in early 2017. In Japan, Grasshopper Manufacture will publish the game in the first half of 2017. 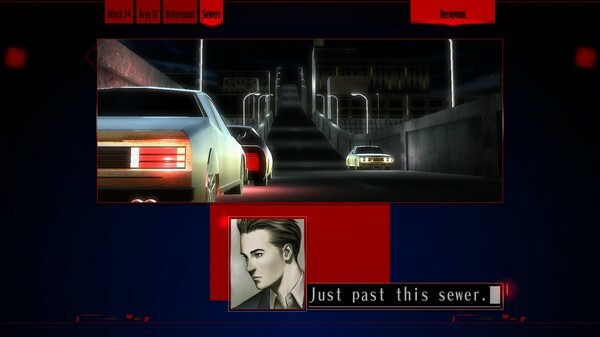 The PlayStation 4 version of The Silver Case will be playable at the NIS America booth at MCM London Comic-Con, which runs from October 28 to 30. The Silver Case was the debut game from developer Suda 51, creator of titles such as Flower, Sun and Rain, Killer 7, the No More Heroes series, Lollipop Chainsaw and most recently Let It Die. The Silver Case HD Remaster is the new and improved version of Grasshopper Manufacture Inc.’s maiden title. The game will be fully remastered while still retaining the same feel and atmosphere of the original PSX version from 1999. It will also be fully localized into English for the first time ever, finally giving Suda 51 fans throughout the world the chance to enjoy The Silver Case. Watch an introduction trailer below. View a set of screenshots at the gallery.